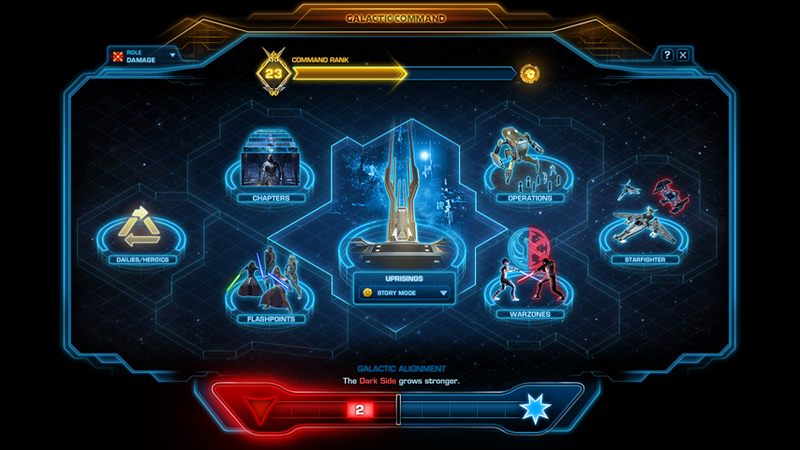 When the Galactic Command system went live for Star Wars: The Old Republic last week, it became possible to earn gear through every activity in the game — including joining a huge group and wandering from gold mob to gold mob. Since this was a fast and easy way to advance, some players farmed those mobs to extreme levels, racking up tons of Command levels in the process. As a result, BioWare has tweaked things just a tiny bit. Those gold mobs are now worth just one point of Command XP — down from 10 — and many players aren’t taking the change well. This Reddit post calls the whole system a “psychologically-manipulative hamster wheel” and it just goes downhill from there. Oh, and you can now purchase boosts to your Command XP gain from the Cartel Market. Like we didn’t see that coming. MMOBomb: Speaking of the “play any way you want to get whatever gear you want” idea, how do you plan to avoid making it ridiculously easy to farm loot crates by just repeatedly doing the easiest content, like a flashpoint that can be done in 15 minutes, over and over? Games like Guild Wars 2 have had this problem for a while and never really adequately dealt with it. Ben Irving: Right, you need to have the balance of how you earn points be really spot-on, and we’ve put a lot of energy into that. Again, that’s something we have all kinds of data and telemetry we’ve been monitoring very closely, and if it turns out something is too good, then we can bump it down, and if it turns out that something’s not good enough, we can bump it up. These are fairly straightforward changes to make and I think it’s fair to accept that we’ll have to make some adjustments. Fair to say it wasn’t “really spot-on.” Making changes might have been straightforward, but that didn’t make them any easier for the community to accept. Messing with people’s loot gain, no matter how long the previous system was in place, is always going to cause trouble. It’s something that probably should have been tested and examined more thoroughly before going live, so as to prevent the kind of rancor that comes with such a swift about-face. like seriously someone need to create a new star wars mmo because this star wars old republic from bioware for me is pay2win and doomed,they only want the money they only see money they want to manipulate people with their common sense saying ”we do a honest job” baah honest job? hahaha I can not go on because I’m disgusted, even a blind man can see that all this is manipulation to get money,its the truth. I left wayback when it was still subs and you still had to pay extra to do space combat missions. Obvious moneygrab on what was a fun part of the game.